The Center School’s Raising Rainbows scholarship, established in 2015, provides tuition support for Center School students who are transgender, gender nonconforming, gender creative, or who have family members who are. The scholarship was inspired by a beautiful, brave Center School transgender student who transitioned when she was in kindergarten. 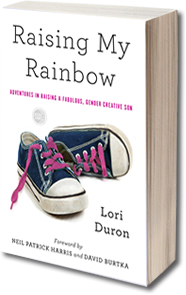 In addition the initiators of this fund recognize the wonderful Lori Duron and the loving story of her gender creative son, as added inspiration. Contributions to this fund are fully tax deductible and support students’ academic and social journey at The Center School, which celebrates each child’s unique path in the world. Consider giving and spreading the word. “Some transgender people do undergo hormone therapy or sexual reassignment surgery as part of their transition; some do not. And interestingly, their decision on this matter is, medically speaking, none of your f*cking business,” John Oliver said on HBO’s Last Week Tonight, in re media questioning of transgender interview guests’ body parts. 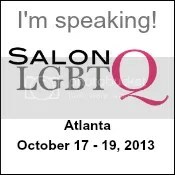 Singled out for shaming: Barbara Walters, Wendy Williams, Katie Couric, Larry King, etc. MTV’s True Life series is currently casting for its next season. One episode is titled “I Am GenderQueer” and one is titled “I Have A Transgender Parent.” If either of these topics relate to your life or you know someone who would be perfect for the casting. Please email truelife@punchedinthehead.com. This entry was posted in All Posts and tagged John Oliver, MTV, Raising Rainbows Scholarship, The Center School, True Life. Bookmark the permalink. I have to just say, reading your blog may have saved my family. My son is so similar to yours I’m crying as I type. I have so much to say; and my heart is just full after reading your book and blog. Wonderful! You are helping this world to change. Great post after an incredible week of court decisions too! Jeremy loved that video. Zie actually woke me up at 11pm just to tell me about it, which would have been nicer if I didn’t have to work the next morning. But it is a great video. The school looks great too, I wish there was something similar near here.